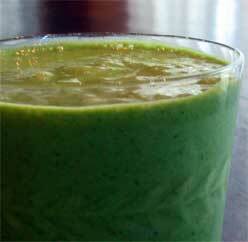 Sweet Papaya Crush Green Smoothie Recipe - Got Greens? This one is sweeter than we are used to but sometimes a nice sweet kick is just what you need. Great..Would that link be to this site? Is it your recipe.Thanks.. Correct, a link to this page. It is our original recipe. Thank you for sharing! Would you mind if I reposted this recipe on my site http://healthsmoothiegreen.com? Yes Michelle – you may re-post as long as you provide clear credit with a link back to this original recipe.